Searching for a lawyer who can help you put together a good estate plan may seem like a daunting task. But with a little help, you should be able to find several qualified lawyers to choose from. Here's a list of seven resources for locating an estate planning attorney in your state. Your financial advisor should be a great source of information for you, including finding a qualified estate planning attorney in your area. Many advisors view estate planning as an essential part of their clients' overall financial goals, and so these advisors have one or more estate lawyers that they'll refer their clients to depending on each client's individual needs. If your advisor hasn't approached the subject of estate planning with you, be sure to bring it up with your advisor. Also, go ahead and ask your advisor who did his or her own personal estate plan—the answer may be just who you're looking for. Many estate lawyers turn to accountants for help with estate, trust, and income tax issues. Thus, chances are your accountant can recommend one or more estate planning attorneys in your area to put together your estate plan. 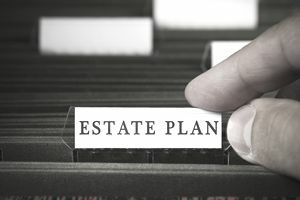 Likewise, many accountants seek out estate planning lawyers for their clients since accountants have direct access to their clients' financial information and family situations which warrant the need for an estate plan. And go ahead and ask your accountant who did his or her own personal estate plan - the answer may be just who you're looking for. Chances are a lawyer you've worked with in setting up your business, buying your home, or reviewing a contract will know one or more qualified estate planning attorneys in your area. And lawyers are always quite happy to refer their clients to other lawyers who don't practice in their area of expertise because this will promote referrals back the other way. Aside from this, go ahead and ask your lawyer who did his or her own personal estate plan since many non-estate lawyers won't even attempt to create their own estate plan (the saying, "A lawyer who represents himself has a fool for a client" certainly holds true in estate planning). Chances are your lawyer will have an estate plan that was drafted by another local lawyer who specializes in estate planning. Each state has a bar association and lawyers located in a certain city or county may also have their own bar associations. Many of these associations maintain a list of their members and their practice areas, and some even offer certified referral services to the public. Check your local telephone directory or online for a referral service in your area. Many lawyers, including estate lawyers, advertise through various means, including in print, on the radio or on TV. All states regulate attorney advertising, so only ads that pass the strict scrutiny of the state bar association are allowed. This ensures that the attorney isn't making false claims or promising unattainable results. This may not work for you, particularly if you live in a large city, but in smaller communities, the court clerks know all of the local attorneys and which ones are easy to work with and which ones the judges like. Practicing in a small town can allow you to have a good working relationship with the court clerks and judges, it's easy to earn referrals this way and is considered a high compliment. This list is really only a starting point and doesn't even attempt to address the vast amount of information you can find about professionals, including estate lawyers, on the internet. Sometimes, however, too much information is just that, and so you need to stick with some basic methods.